Almost everyone goes to college for the same reason: to prepare for their future career. Of course, it is also about expanding your mind, challenging yourself, and meeting new people, but in the end it comes down to being qualified for the job that you really want. In today’s society, online degrees are more common than ever. 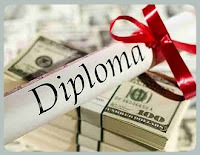 Consequently, "diploma mills" are also more common than ever. A diploma mill will go to great lengths to appear legitimate, making it very difficult to differentiate the scams from accredited online universities. And while the internet boasts thousands of institutions for higher learning, it also houses thousands of con artists. Diploma mills cheat you out of your money and your academic goals. While diploma mills can be tricky, there are several ways you can avoid them. An online education offers many benefits a traditional education cannot. Join me April 28th, 6pm – 8pm EST on www.Momtourage.com for a parenting chat and QA forum! Are you at your wits end with your teenager? Are you having trouble communicating, disciplining and enforcing rules? We’ve seen your questions in our Q&A tool and we’ve got expert help for you. Join Sue Sheff, parent advocate and author of Wit’s End! A Parent’s True Story, Advice and Resources for Saving Your Out-of-Control Teen who will be on hand in our Q&A tool answering your questions about helping teens who are behaving badly. The recent headlines of the two 14 year-old girls that secretly planned their death by hanging at a slumber party has sent shockwaves through our nation. The facts behind teen depression and teen suicide are ones that parents need to take the time to understand, learn and be proactive about. 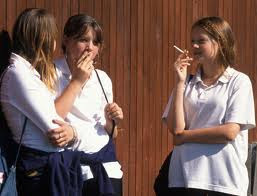 It is always a question to me – teens are allowed to drop out of high school (in Florida at age 16 teens have the right to sign out of school). Their mentality is they will just get a GED. Although there are very valid reasons that some people need to get a GED – a defiant, healthy, teenager usually doesn’t have a reason except they simply don’t want to go to school. In life, as they will learn, there are many things we don’t want to do – but will do them anyway. There are things we don’t understand how important they are until years later – like going to college. 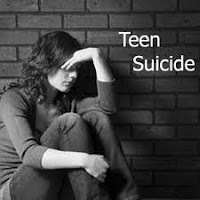 Visit www.helpyourteens.com if you need help. Are these three adjectives that surround social networking? Social networking is on the rise, a recently released study from The American Academy of Pediatrics (AAP) found that 22 percent of teenagers log onto their favorite social media sites more than 10 times a day, and that 75 percent own cell phones. This level of engagement online increases the risks of cyberbullying, “Facebook depression” (a new phenomenon where “de-friending” and online bullying lead to symptoms of depression), exposure to inappropriate content, and sexting. What can parents do if they suspect their teen or child is heading down a dark road? 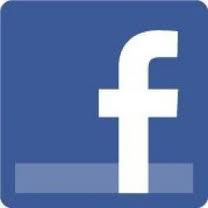 Looking at Facebook to begin with, is your teen age appropriate? You have to be at least 13 years-old to be a member. On Facebook's help center it clearly states: Facebook requires individuals to be at least 13 years old before they can create an account. Let's face it, when our teenager wants to start dating it can be extremely stressful for the parent. The real life pain of falling in love and breaking up can devastate a youth. It is important you not only talk to your teens about dating and the emotions they may go through, but also about dating safety. Teen dating violence is a serious concern - and an issue that is becoming more prevalent. Alcohol Awareness Month, as declared by the U.S. Department of Health and Human Services and the Substance Abuse and Mental Health Services Administration (SAMHSA), aims to raise awareness about the seriousness of alcohol dependency and alcoholism, while recognizing the serious problem of alcohol abuse. It is an ideal time to educate yourself and loved ones about the dangers of alcohol abuse. Recently launched yet has helped over 30,000 families,www.TeenHelpAdvice.com offers over 25+ years of combined experience in the big business of teen help schools and programs. 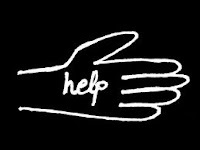 Offering sound and objective advice, the Teen Help Advisors are experts in the "business" of the teen help industry. The good, the bad and the ugly. Many parents are duped on a daily basis when they have reached their wit's end. They are feeling desperate - alone - and hopeless. No more! We have been there - I have been duped, my teen was abused and I am determined that this doesn't happen to other parents as they believe they are getting help. The questionable decision to hire an Educational Consultant (EC) can be answered very quickly.